This US indie pop band was formed by Mike Levy (vocals, bass), Matt Carges (guitar, vocals) and Daniel Swan (drums, vocals; ex-Cortinas). Fanatical admirers of all that is best in classic pop music, the San Francisco, California-based Sneetches produced several highly rated albums of guitar-based music in the late 80s and early 90s. Sometimes That’s All We Have was noticeable for their rare ability to juxtapose joyous melodies with introspective, often depressive, lyrics. Slow, featuring fourth member Alejandro Palao (bass), gave further evidence of their capabilities. Both on record and on stage (the latter often with Cyril Jordan of the Flamin’ Groovies) they displayed a fondness for exuberant cover versions; the fact that Palao and Swan both came from England gave them the ability to celebrate the riches of two cultures. 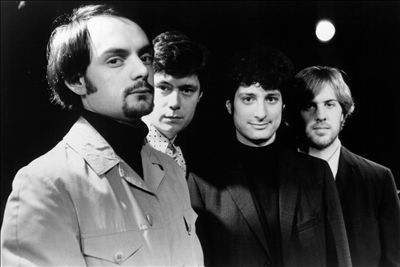 The Sneetches was an indie pop/power pop band formed in San Francisco, California in 1985, who released several albums before splitting up in the mid-1990s. The band was described by Trouser Press as “one of the most tasteful, consistently tuneful pop bands on the American scene”.